As the craft beer industry transaction kettle boils over, the Craft Brew Alliance, one of the earliest movers into a brave new world of Big Beer investment and economic scaling, has been quiet. But quiet no longer, the alliance has formed a strategic partnership with Cisco Brewers, the first and only craft brewery on Nantucket Island in Massachusetts. As part of the strategic partnership, the two companies are entering into a master distribution agreement and alternating proprietorship, in which Cisco Brewers will gain access to CBA’s extensive sales and distribution network and New Hampshire brewery to support Cisco’s growth, and bring more of their coveted island-inspired craft beers to more consumers throughout the Northeast. Through the alternating proprietorship agreement, Cisco will not only leverage CBA’s state-of-the-art brewing facility in Portsmouth, N.H., but the two craft beer companies will also share a master brewer. CBA Lead Innovation Brewer Mark Valeriani will oversee production of Cisco beers at Cisco’s brewery on Nantucket, as well as CBA’s Portsmouth brewery, which is ideally located to support growing demand in the Northeast for distinctive craft beers with local relevance. Cisco Brewers is one of the fastest-growing craft breweries in New England, and as demand for the brewery’s beers continues to expand, the master distribution agreement with CBA will enable Cisco to increase distribution of its beers in chain and other retail accounts throughout its core markets in the Northeast. CBA will work with its network of wholesaler partners, as well as Cisco’s existing wholesalers, to bring the beers to market. Harman said they evaluated several options when looking to embark on this next stage in the company’s journey, and after sitting around the kitchen table with the CBA team, “we realized we had found a partner who could not just help us grow, but who could also help us realize the full potential of what we started 20 years ago,” he said. The partnership with Cisco Brewers expands CBA’s family, which already includes one of the westernmost island breweries, Kona Brewing Company, with one of the easternmost island breweries in the United States. Cisco Brewers was founded 20 years ago on Nantucket Island, 25 miles off the coast of Cape Cod, and is best known for such island-inspired brews as Whale’s Tale Pale Ale, Grey Lady Ale, and Shark Tracker Light Lager, which benefits science and education programs for OCEARCH. 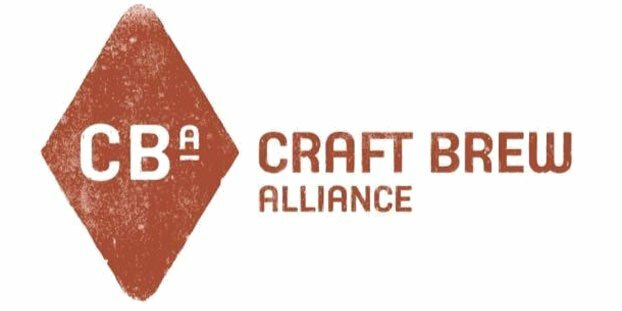 As breweries explore the range of options for growth, CBA’s partnership model offers tangible value for both companies. Partners gain access to CBA’s sophisticated distribution network, state-of-the-art breweries, and deep craft beer expertise, while CBA establishes new home markets and local relevance in strategic growth areas. The company looks for partners that have strong potential for growth and deep connections to their local communities, such as Nantucket, Mass.-based Cisco Brewers and Boone, N.C.-based Appalachian Mountain Brewery.